Discover the evocative choral music and unique culture of Buryat’s Old Believers. Trace the shores of Lake Baikal, and stop for tea in a family home. Attend musical performances, including a concert at the Decembrist House Museum in Irkutsk. In Moscow, take an in-depth tour of the Kremlin, and meet a Russian cosmonaut. Set out on an epic train journey across one-third of the world, traveling from Vladivostok to the heart of Moscow along the legendary Trans-Siberian Railway. From the Mongolian steppe to Lake Baikal’s remote shores to the snow-capped Ural Mountains, trace the history of tsars, exiles, and Mongols in the comfort of our luxury train, the Golden Eagle Trans-Siberian Express. Encounter remote cultures and the unique architecture of Siberia’s wooden cottages and Moscow’s onion domes. No reviews yet for this trip. Browse other reviews below for National Geographic Expeditions. Depart the U.S. on an overnight flight to Vladivostok. Check into our hotel and gather for a welcome dinner tonight. As a strategic naval outpost, Vladivostok was closed to most of the world from World War II until the end of the Cold War. Get acquainted with this now-thriving city on a tour that includes the brightly painted railway station and Our Lady Grieving Orthodox Church, the only one of its kind allowed to remain in the city during Stalin’s reign. See the Pacific Navy War Memorial and the Krasny Vympel steamboat, take in views of the city and its bay from the Eagle’s Nest observation platform, and stroll the historic Vladivostok Naval Cemetery. This evening, climb aboard our luxury train and set off on our journey across Russia. Explore the lively squares of Khabarovsk and visit the Natural History Museum by the Amur River. Learn about the flora and fauna of the region, and see artifacts from the indigenous tribes of the Goldi and the Gilyak. As the train slips through rolling hills and Siberian villages of log houses, relax with a book, attend a talk by our expert, or simply watch the wild and remote countryside pass by. On our second day on board, we enter the sweeping Mongolian steppe. During a morning in Mongolia’s capital city, visit the National Museum to trace the history of Genghis Khan and explore the culture of the steppe nomad. Then head for nearby Gorkhi-Terelj National Park to enjoy the alpine scenery, watch a demonstration of Mongolian horseback riding and visit a traditional ger (felt tent). This evening, enjoy dinner and a performance of Mongolian throat singing and traditional dance before we reboard our train and continue on our way back into Russia. The train rolls through the valley of the Selenge River, which flows into Lake Baikal. Stop in Ulan Ude, the capital of the Buryat Republic and once a major trading post between China and Irkutsk. Pay a visit to a village of Old Believers, a group descended from 17th century religious exiles whose fascinating culture has changed little over the centuries. Watch a performance of their unique choral music. Arrive at beautiful Lake Baikal, called the "sacred sea" by locals and named a World Heritage site by UNESCO. The lake basin holds about 20 percent of the world's unfrozen fresh water. Our train route hugs the rocky shores and passes through 33 tunnels. Take in spectacular views from the train, and stop for a barbecue on the shore. In the afternoon, explore the village of Listvyanka and join a family for tea in their home. Spend today in Irkutsk, an important Siberian outpost established by the Cossacks in 1652. In the early 19th century, many Russian artists, officers, and nobles were exiled here for their involvement in the Decembrist revolt. Visit the city’s historic sights, and wander through a delightful collection of classic Russian and Siberian cottages at the Museum of Wooden Architecture. Stop for a private bell-ringing performance atop a bell tower, and then enjoy a private concert and champagne reception at the Decembrist House Museum. 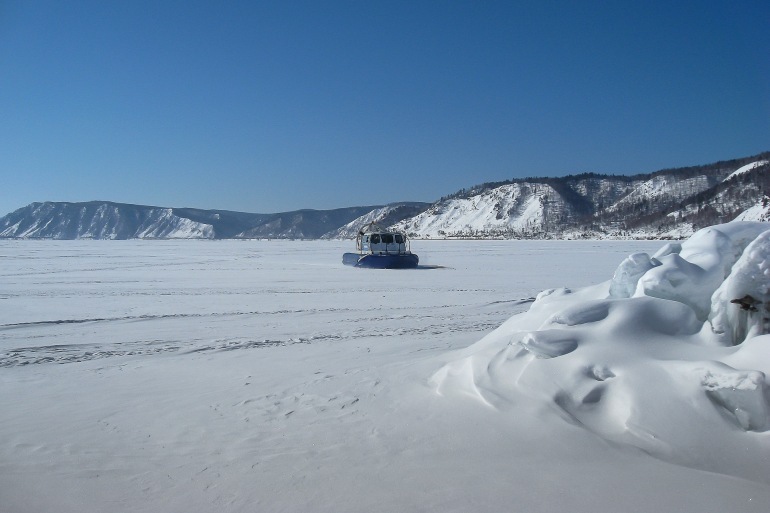 Enjoy a day to relax on board, taking in stunning scenery as the vast Siberian taiga unfurls. The following day, stop in Novosibirsk, Siberia’s largest city, to see the opera house and Lenin Square. Arrive in Yekaterinburg, where Russia's last tsar, Nicholas II, and his family were executed by the Bolsheviks in 1918. Visit the Romanov execution site—now a church dedicated to their memory, and view the city's ornately decorated wooden houses. Today, explore Kazan, the capital of Tatarstan, perched on the banks of the Volga River. Tour the city’s Kremlin, the turquoise-topped Qol Sharif Mosque, and the Peter and Paul Cathedral. Pay a visit to the Kazan Conservatory and enjoy a concert performed by the students. Then set off on a private cruise around the walls of the city’s Kremlin before returning to our train to depart on the final leg of our journey. Disembark in Moscow, and check into our hotel before an afternoon city tour. After dinner at a local restaurant, take a guided stroll through Red Square at night. The following morning, explore the legendary Kremlin. Visit St. Basil’s Cathedral, and view court regalia from the Romanov dynasty at the Armory Museum. After lunch, visit the monument to the Conquerors of Space, which sweeps some 360 feet into the sky. Delve into the history of space exploration at the recently updated Memorial Museum of Astronautics, and enjoy a specially arranged talk by a Russian cosmonaut.